When you joined the military it was likely because you loved and wished to serve your country. 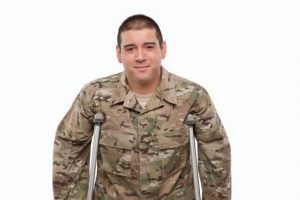 If you were injured during your service and are unable to work, then it is your country’s responsibility to provide financial support. Unfortunately, the VA often makes mistakes and assigns to veterans who apply for disability benefits a lower rating than is warranted. Our attorneys routinely assists veterans in appealing the VA’s decision to deny benefits to deserving veterans. Contact our lawyers to schedule a consultation. Our attorneys will assist in acquiring the documentation necessary to prove that one’s injuries have significantly impaired one’s ability to work. During your initial consultation, we will review the rating the VA has assigned you, discuss with you the details of your injury, and determine if you have a case to appeal. We will advise you on what documentation you will need, ensure that your symptoms are properly documented, and that your Notice of Disagreement is properly filed. Appealing a VA decision is paperwork intensive; our attorneys will ensure that your case continues to move through the process and does not get lost in the administrative shuffle. Contact our lawyers today. We represent people throughout all fifty states as well as in the greater Atlanta Metro area including Macon, Savannah, Athens, Kennesaw, Marietta, Decatur, Dunwoody, Stone Mountain, Tucker, Alpharetta, Roswell, Sandy Springs, Duluth, Lawrenceville, Lilburn, Norcross, Gainesville, as well as the counties of Bibb, Chatham, Clarke, Cobb, DeKalb, Fulton, Gwinnett, and Richmond. Dealing with the bureaucracy of any government agency can be intimidating and the VA is no different. At Obiorah Fields, LLC our attorneys are well versed in the administrative process of the VA and know how to ensure that cases are processed in as timely a manner as possible. Our Atlanta based firm represents veterans both in Georgia and throughout the United States. We are able to file most documentation electronically, and utilize phone conferences and email to communicate effectively with clients. When necessary, we are able to travel to represent our clients at administrative hearings. Do not lose out on benefits you are entitled to because of an error in paperwork. We offer affordable fees that are contingent on winning you benefits. Call our office today.